Does your grocery store have a bulk food section where there are barrels or bins of mostly dry goods? Measure what you need into a plastic bag and control the portion you buy. 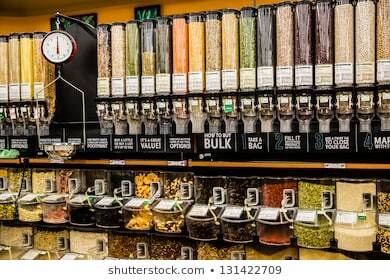 I remember the first store that offered bulk food bins was Save On Foods. Their bins held baking supplies, dried soup mixes, chocolates, dried fruit, nuts, peanut butter,and a whole lot more. Many grocery stores have jumped onto the bulk food band wagon. The first thing I thought is that items in the bulk bins cost less than buying a packaged product off the shelf. The store is buying huge sacks of products to fill these bulk bins, so they must be getting a good deal that they pass along to the consumer. 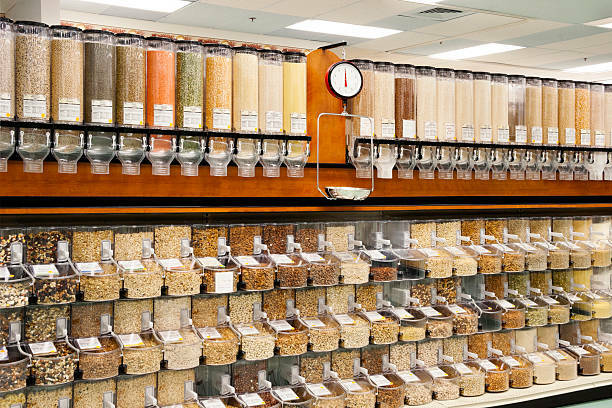 Depending on what you’re buying, sure, there are items that can be purchased cheaper from the bulk food bins instead of grabbing the packaged version off the shelf. Other times the bulk food item costs significantly more than a packaged product. You need to do your own comparison shopping. Check the price in the bulk food item against what the item on the shelf costs. Often, there’s a tag on the shelf that breaks the item down what it’s cost per ounce or pound is. My experience is nuts and chocolates are usually more expensive in the bulk food bins. 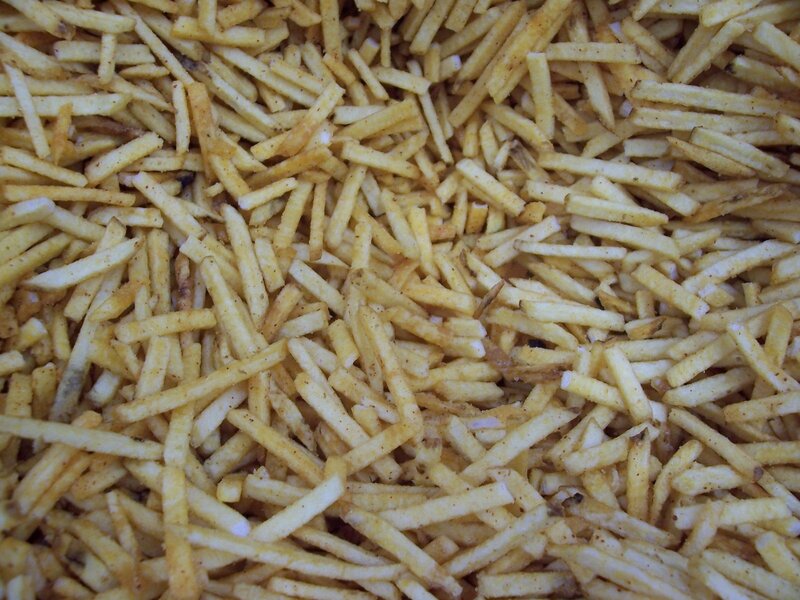 However, if you only want a small amount, then there’s less chance of waste before the product loses its freshness. There’s also less chance of pigging out if you grab a small amount from the bulk bin. Put it on the scale and do the math in your head. You don’t want to go into shock at the cash register. Spices are a good deal. You can put a small amount inside the plastic bag and it might cost 50¢ or less. There’s less chance of the spice losing its freshness before you use it up when you buy small amounts at a time. When it comes to things I eat frequently, I skip the bulk aisle and buy the largest bag that suits my needs off the grocery shelf. Usually it’s cheaper than buying it from the bulk bin. I keep a lot of dry goods in my freezer that people might not think about freezing. I do this to make the product last longer. There’s a lot of baking ingredients I might not use that often, but when a recipe calls for it, I know I have it in the freezer. The corn meal and skim milk powder I bought in the bulk section are in the freezer section of my fridge. Oats and flour that I buy in bag bags are in the deep freeze. Are you always finding recipes that look pretty good, but then you realize that it calls for buttermilk? There are a lot of buttermilk loving cooks and bakers on the web! My father liked buttermilk. We sometimes had it in the house growing up. If I drank it, I had to add tons of brown sugar to it first! I don’t like buttermilk. I never buy it. If I see a recipe that calls for it – pass. Oh I know, people will tell you to add vinegar to your milk to turn it into buttermilk. That’s just not me. I remember buttermilk as being thick. I can’t see how adding vinegar to your milk will thicken it up. Sour it yes. The only thing that might thicken up milk is corn starch. 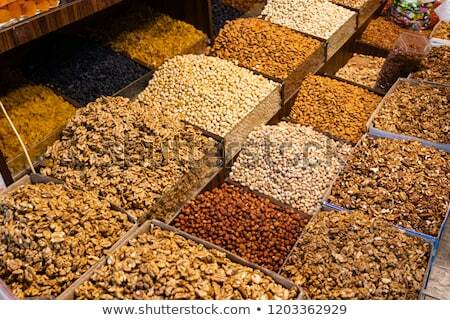 How about a store that specializes in selling bulk food items? Here in Canada we have the Bulk Barn. I read an article about someone who bought buttermilk powder at the Bulk Barn! 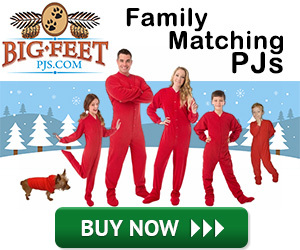 I never knew there was such a thing. You’d think it would be kept in a bin near the skim milk powder and I’d have spotted it at Save On Foods or Wal Mart. This buttermilk powder you can substitute for butter in your recipe or sprinkle it on your popcorn! I decided a trip to the Bulk Barn was in order and there’s one not too far from where I live, about a 10 minute or so drive. I’ve seen it but never been inside. It’s not as big a store as I thought it would be, not grocery store sized, but there’s a lot of stuff in there. Several aisles with bins, and the shelves above the bulk bins hold items that aren’t sold in bulk, like chocolate bars and bags of chips. 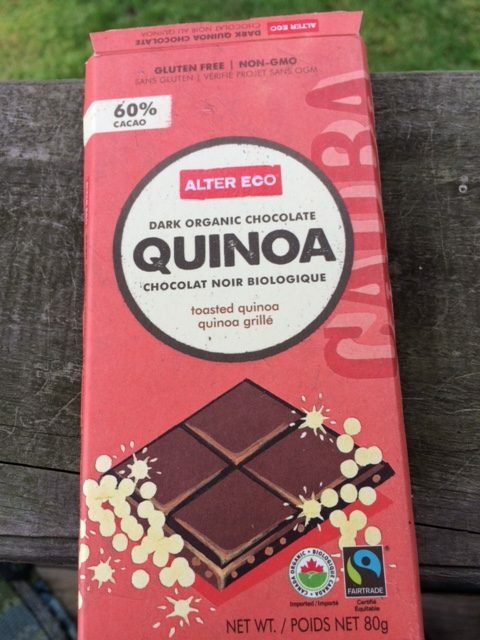 The most expensive thing I bought was an Alter Eco dark chocolate bar with quinoa. That set me back $4.39, but I’ve never seen that flavor before. I’ll be back to buy it again! That’s the thing with these expensive chocolate bars. I’m not tempted to overeat. I snap off a piece if I’m craving chocolate, and then I’m good. I even saw shoestring potato chips in a bin! And then I saw it. Something I couldn’t resist. Chocolate peanut butter cup popcorn! 2 ounces set me back $1.45. Needless to say, it didn’t last 24 hours. But you know, it wasn’t a huge amount of either product or money for me to have a taste. It was chocolate drizzled popcorn and then these really tiny peanut butter cups, like the size of the nail on your pinky finger. It was good, but I probably won’t buy it again. I also decided to try the honey apple cinnamon walnuts. Just under 2 ounces cost $2.07 – yikes! Remember what I said about nuts not being a good deal in the bulk bin? Wait for it. I’m getting low on walnuts at home so I bought just over 2 ounces of walnut halves for $2.24 and kicking myself ever since. I’ll probably end up at the grocery store sooner rather than later and could have picked up more then. I also wanted to buy some prunes so I could bake these cookies I’d seen a recipe for and keep them in the freezer for when I need them. They’re called constipation cookies and supposedly they help keep you regular. I’d heard about them but I don’t keep prunes on hand. I don’t think buying a packaged bag of prunes would be a good idea because they’d probably go to waste before I’d eat them. The recipe made about 4 dozen cookies, and yes, they’re in the freezer. I ate two to try them, and they’re definitely not the type of cookie I’d pig out on. The reason I’ve been thinking about them is because I went through a week of antibiotics and pain killers which stopped me up, but things are good now! Here’s the recipe I found if you want to bake them and keep them in the freezer for those times when you need one! The recipe calls for a cup and a half of prunes and I eyeballed it when I scooped them into the bag. 12 ounces of prunes cost $3.74 and I still have a few left over. Not too bad for eyeballing! I ate one while I was preparing the recipe. Hmmm. Maybe I’ll just buy a package of them the next time. I bought the buttermilk powder which was the main reason I’d come in. 6 ounces cost $2.96. And you guessed it! Straight from my shopping bag into the freezer. Generally speaking, if you’re not sure you’re going to like something, buying a small amount from the bulk food bins is a good way to give it a try. The worse thing about shopping at the bulk bins is trying to find a pencil to write down your product number on the tag. If you shop at a grocery store, you’ll need that number when you hit the check out. The Bulk Barn has signs up saying no testing. That’s pretty standard for places that have bulk food bins. However, the signs also said if you’d like to try before you buy, ask a staff member for assistance. That’s nice. I’ve never seen that anywhere else I’ve shopped in bulk before. Though I’m not sure I’d dare ask a staff member for a taste test. 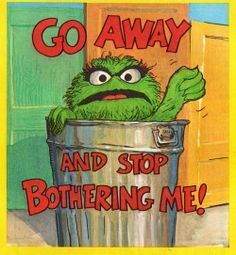 Does bulk food make you grouchy? 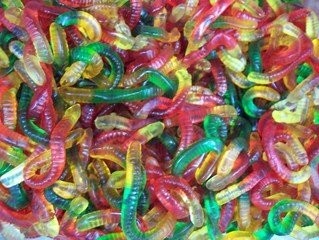 The downside is the staff working that night at the Bulk Barn didn’t appear too friendly. Well, other than the lady who was behind the cash register when I came in. 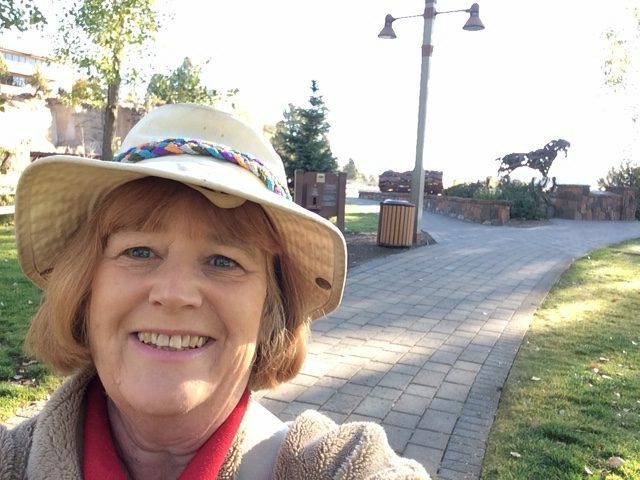 She seemed cheerful. Too bad she didn’t hang around. I was looking for a pencil to write down my product number and there were none around. A staff member was nearby and I asked her. She kind of glowered at me, looked around, and pointed down the aisle and said it looked like there was one in the label bin further down. In the next aisle I saw several pencils in with the labels and grabbed one to keep with me while I continued shopping. My recommendation would be to bring your own pen when you shop in bulk for those times when there’s nothing there to write down your number on. It makes shoppers grouchy when they can’t find a pencil. Apparently it makes the staff grouchy when you ask for a pencil. I also heard one of the staff yelling at a customer: “Don’t put that back in there.” I didn’t see what happened, but it must have been a hygienic issue, which is something else you have to keep in mind when shopping the bulk aisles. Unclean hands touching the lids and scoops. People sneezing. 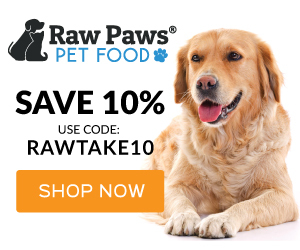 You know… yuck and gross! Unfortunately for me, the glowerer was behind the cash register when I was ready to check out. Still looking very unhappy about life, her job, dealing with the man in front of me buying lots of little bags of candy, me…. See my post never buy food on credit, where I talk about not going into debt to buy food. If you have $20 to buy groceries, I suggest groceries to buy including some things from the bulk aisle: dry beans, oats, rice, and skim milk powder. You can measure out into a bag and buy just enough to fit your budget. 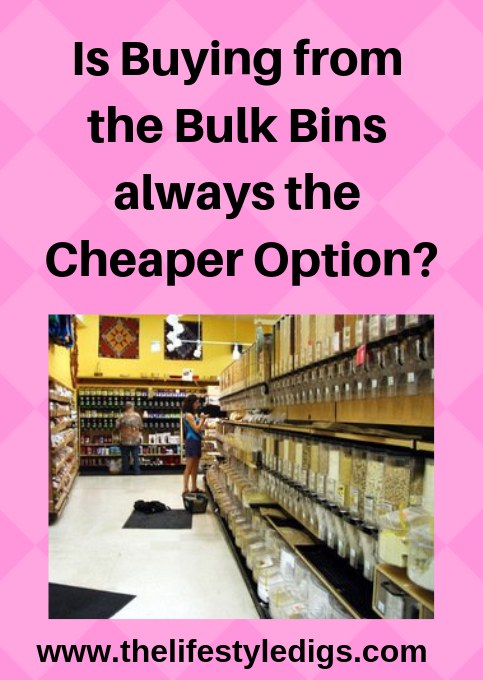 Is buying from the bulk bins always the cheaper option? Leave a comment and let us know what you think! ← Chocolate Chip Peanut Butter Oatmeal Bake – for Breakfast!